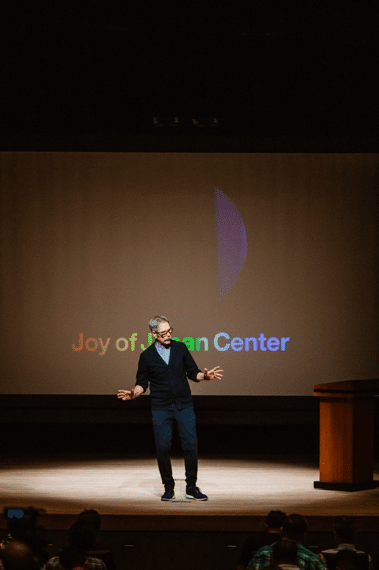 Two months have passed since Paul Tripp, a Christian pastor, author and conference speaker stood before our brothers and sisters located in Nagoya and Tokyo, Japan. 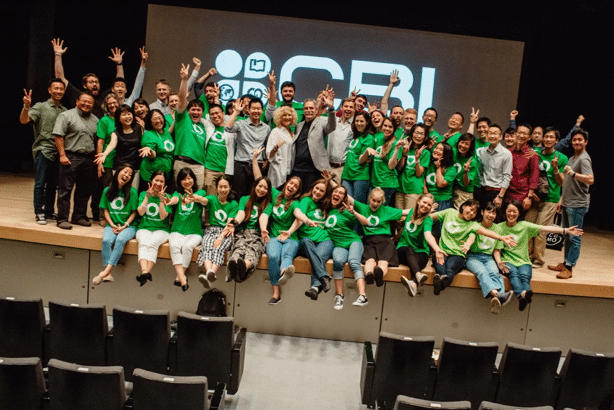 Christ Bible Institute (CBI) invited Paul and his wife, Luella to speak on behalf of God to two main groups, the church leaders and to the people who make up the Japanese Christian church. 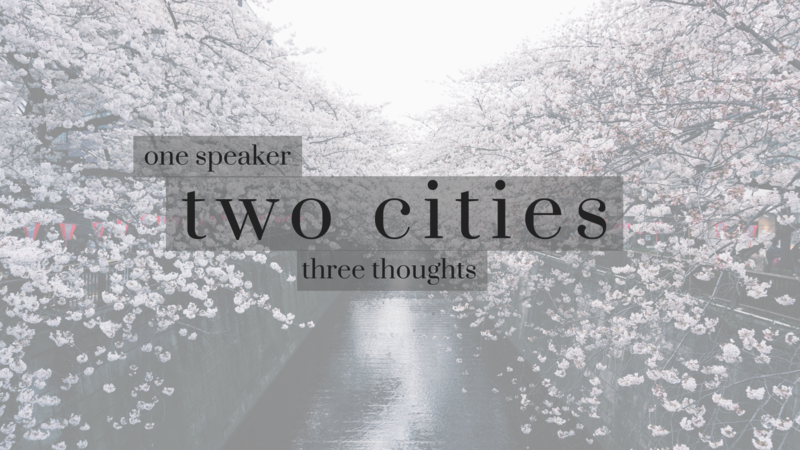 From July 13 through July 16, Paul would spend over 16 hours teaching, exhorting, encouraging, and challenging the Japanese Christian church to worship Christ and Him alone through the private ministry of the Word. God allowed His Word to swirl in people’s hearts, to open spiritual eyes, and to remind us that because of His Son, He showers His people with the refreshing and invigorating gift of grace. There are needy Christians and non-Christians in Japan and around the world who need to see how Jesus is the way, the truth, and the life. Here at Lighthouse our nomenclature of the Christian life consists of words like, heart, worship, idolatry, and transformation. These words flow from our mouths. We understand that genuine and God honoring change can only take place when our hearts worship Christ and not the things of this world. This is not the case for the Japanese church. As biblical truths were being unpacked through Paul’s illustrative preaching, I imagined spiritual light bulbs lighting up over the heads of the people. Different puzzle pieces of the Christian life were now fitting together to form a complete picture of who God is, who we are, and how we can truly be instruments in the Redeemer’s hands. 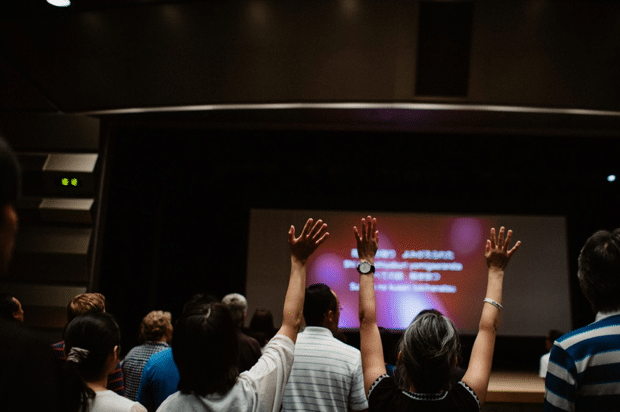 The Japanese Christian church needs to grow in many different ways, but it is alive. The desire for many of our brothers and sisters is for their hearts to beat as God’s heart beats. In order for the Japanese Christian church to shine brightly in this dark country, His people need help, they need to be ministered to, and they need to see Jesus, the one who gives life. 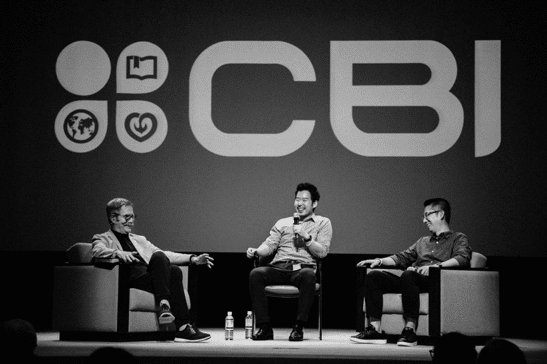 For over 800 people, God used these conferences as a stepping stone towards this mission. God is also using the 5,000 free copies of Paul Tripp’s book, Instruments in the Redeemer’s Hands that have been distributed this year. There were two couples that Lighthouse personally helped so they could attend these conferences. One was a couple our church family knows well and the other is a couple only a few people have met. The first couple is Jefferson and Eunice Romulo, along with their daughter Loreus. I had the pleasure of catching up with them at the conference. They shared how it was so good to be around and meet other Christians since there are few in their area. The other is a couple named Keita and Yae Murata. Keita sensei is the pastor at Niseko Church located in Hokkaido. 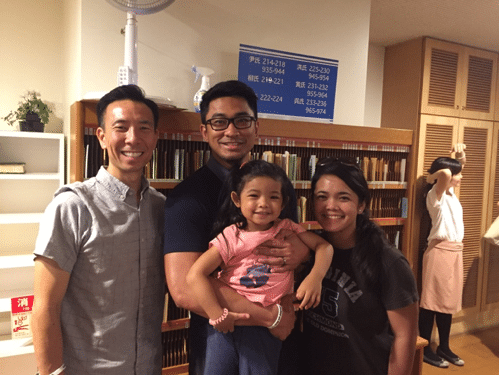 Mark Kato and Naoto Funada traveled to northern Japan to meet the Muratas last year and Lighthouse decided to send a VBS team this past August. Lighthouse also wanted to encourage the Muratas and thought sending them to this conference would invigorate and renew their love for the Lord and His mission. Pastor Keita said it did and so much more! These are just two examples of how Lighthouse is trying to be a blessing because we are blessed. Here in America we have an abundance of Christ-centered conferences and books. I hope that periodically you’ll pick up your Bible or another book filled with God’s truths that you will not take it for granted. Think about the church in Japan or another country where they don’t have access to the plethora of resources. Think about how you may invest your resources (funding translations or you translating materials if you have the gift of language). Think about how you can help others to go and bless others in another country. Let’s continue to live in light of eternity because we want to play a part in how God is moving in Japan and beyond.